There are many trees widely available for smaller gardens, in all shapes and sizes, evergreen and deciduous. Given that many of us have limited space in which to garden, it becomes important that any trees chosen are right for their surroundings, in terms of proportion as well as for their decorative value. From the hundreds of smaller trees available, here is our short list. There are further suggestions in the list below. To avoid planting a tree too large for the site, it may help to draw a scale plan of your garden and plot the size of your tree at maturity. 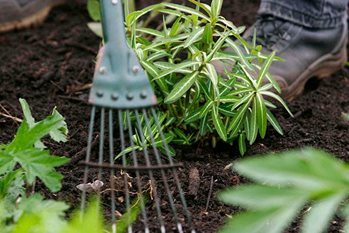 If planting in the corner of your garden, be aware that most of the canopy will shade neighbouring gardens. To help you choose, you may find it useful to visit gardens where a good range of well-established and mature ornamental trees can be seen and evaluated. If you would prefer to view a full list of small trees (up to 8m or 26ft), try the RHS Find a Plant. Heights given for each tree are approximate. Location in the British Isles and in the garden, soil conditions and prevailing weather will influence ultimate height. Malus ‘Evereste’ AGM: white flowers from red buds, mid-spring. Height and spread 6-8m (20-26ft). M. floribunda AGM: crimson flower buds open white, early spring. Height and spread 6-8m (20-26ft). Arbutus × andrachnoides AGM: peeling red-brown bark. Height and spread 7-8m (23-26ft). Tilia cordata 'Winter Orange' AGM: red buds and orange winter shoots. Height and spread 8-10m (26-33ft). Camellia japonica: (*) Height 8m (26ft). Spread 6-7m (20-23ft). Cultivar heights vary.